Evidence that coastal restoration can be effective and sustainable has been provided in a study of Louisiana‘s efforts in the Isle Dernieres chain of barrier islands, reports Coastal Protection and Restoration Authority Board (CPRA) Coastal Scientist Darren Lee. Lee stressed the importance of barrier islands as the state’s first line of defense against storm surge, and the importance of continuing the state program of restoration and maintenance as part of the overall Master Plan strategy. As a result of this heartening progress, it was no surprise when—on March 20, 2019—the CPRA unanimously adopted a $748 million spending plan for coastal projects and programs in the coming fiscal year starting on July 1 and running through June 2020. 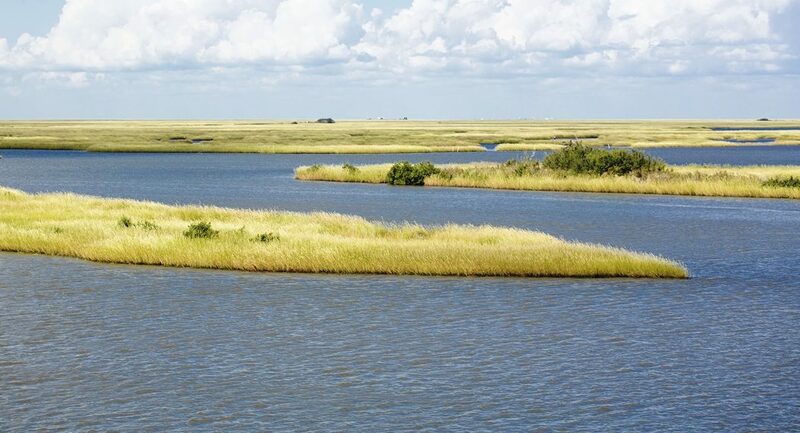 The Louisiana Legislature will be asked to approve the expenditure of anticipated funds outlined in the CPRA’s Fiscal Year 2020 Annual Plan for Integrated Ecosystem Restoration & Hurricane Protection in Coastal Louisiana. This year’s plan outlines 108 active projects, with 58 in construction, and more headed in that direction after planning, engineering and design. CPRA Executive Director Bren Haase said the number of projects expected to go into construction is an increase over the draft report issued in January. He cited project refinements and continued analysis as reasons for the projected increase. State Senator Norby Chabert commended the CPRA staff for making the extremely complex Annual Plan understandable to the average person. “This is without question the best put-together presentation for an annual plan that I’ve ever seen,” Chabert said. In related restoration news, Mid Barataria Sediment Diversion Project Manager Brad Barth has revealed the latest refinements in design concepts for the structure that will be located on the west bank of the Mississippi River in Plaquemines Parish, just north of Ironton and south of the Alliance Refinery. It will capture sediment that normally would have run into the Gulf of Mexico, and direct it into eroded areas that need it for rebuilding. Of course, this is only necessary because the Mississippi River is so over-engineered that normal sediment deposition no longer happens naturally. The graphics presented by Barth include conceptions of the head works in the river bed where sediment will be captured, and the gates that will be closed when conditions are not optimal for sediment transport and land building. Also depicted were transitional walls, guide levees, channel armoring, and bridge concepts for the railroad and Highway 23. Photo of Louisiana coastal marsh via Adobe Stock.